You’ve heard about localization (internationalization) WordPress plugins, which automatically translate plugin text into your blog language without changing any codes. But what about localization themes? How can we make a theme multilingual? It is as easy as working with plugins as you’ll see in this post. Here ‘theme_textdomain’ is theme textdomain. Change it into anything you want, but it has to be unique. Usually, the theme name is used for this parameter. Remember the ‘theme_textdomain’ parameter which we declared in the section above. These functions will look into the .MO files, if strings are found then they’ll use them, otherwise the original strings are used. 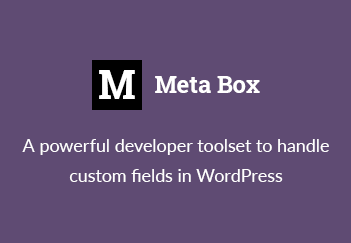 For more information about using localized functions, see in WordPress Codex. After changing theme codes, we need to translate the text. The translated text are put in .MO and .PO files (which are located in a sub directory /lang/ of theme directory). The easiest way to create .MO and .PO files are using PoEdit. After download and install PoEdit, open it and go to menu File → New catalog. 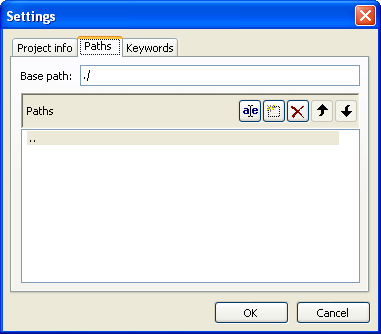 In the Project info tab, just enter some information about project like name, email, charset, etc. Click OK. PoEdit will automatically scan files in your theme directory, and list all strings. Your work now is just translating them. After that, save the file in format language.po (ie. pt_BR.po, de_DE.po, etc.) in the /lang/ directory. That’s all. When you change blog language, all strings of theme are changed correspondingly. Localization is needed when you want to spread your themes or to sell them. I hope this post is useful for you. Thanks for reading. Hello! Thanks for this great post! Is there a way to explain the process to localize a wordpress theme that doesn’t have localization options? I’m planing to buy a StoreFront Theme and i need to localize in spanish. Thanks! You should ask the author of that theme to confirm that the theme supports localization. As I explained in this article, localization must be done both in theme code and using MO files. Hi! thanks for your answer. The theme developer already told me that his theme doesn’t offer localization, besides that, i wonder if its possible to localize it because that theme has a lot of things that i need and i think it worth the try. Thanks and sory for my english. I have prepared my theme files for localization, the theme is on the desktop, and after I enter all the information, etc. and run Poedit, I always get an error – “Updating Catalog Failed…” Any suggestions? Is my theme meant to be on my desktop? Thanks. Here is a very good plugin that works with poeditor.com via API: http://wordpress.org/extend/plugins/poeditor/. Using this plugin along with this localization software will ease your work a lot, not needing to create as many po and mo files as usually.